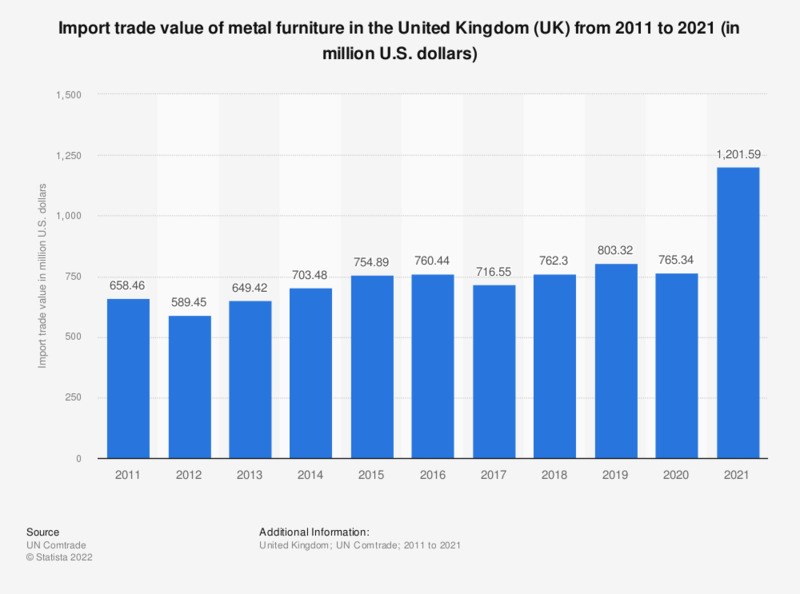 This statistic portrays the import trade value of metal furniture in the United Kingdom (UK) between 2011 and 2016. Over the total time frame observed, the import trade value increased from 658.46 million U.S. dollars in 2011 to 760.44 million U.S. dollars in 2016. The lowest value was seen in 2012, accounting for 589.45 million U.S. dollars. Since then, the import trade value has increased steadily.